W!ZARD Radio Station and NCS are partnering for a series of conversations live on-air which will tackle the issues that matter most to you. Being a young person is really difficult sometimes – it kind of comes with the territory of growing up. What are you going to be when you’re older? What are you going to do for A Levels or at uni? What heat are you going to get your Peri Peri? They are all valid questions. But how do you get to the answers? On NCS you’ll be inspired, pick up new skills and have all sorts of new experiences to help you realise your potential and become unstoppable. NCS is a life-changing programme open to everyone in England aged 15-17. It’s your chance to explore, find your passion and make a difference to the world around you. Discover who you are and what you’re capable of on their four-phase programme which has been designed to provide you with all sorts of new experiences and skills. Whether you’re a daredevil or creative genius, talkative or more reserved, you’ll be surprised by how much you’ll achieve. 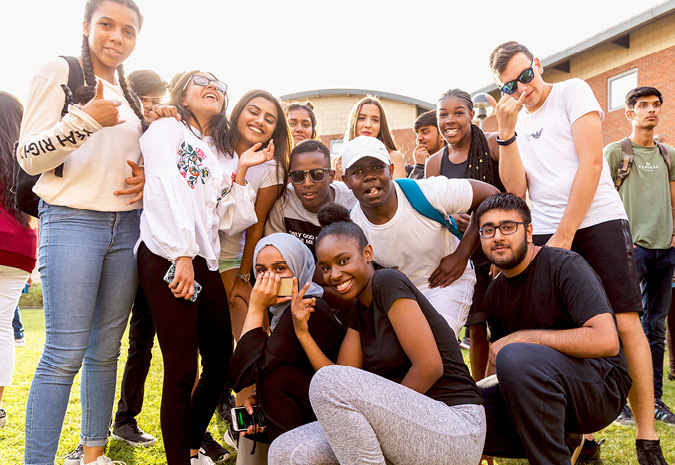 If you want to boost your UCAS statement or CV, meet incredible people, get your voice heard and have a lot of fun while you’re at it, then NCS is for you. Over 500,000 young people have already taken part – will you be next? WHAT ABOUT THOSE DISCUSSIONS YOU MENTIONED? Each month from March to July 2019, a different W!ZARD Radio Station presenter will tackle a new topic and invite you to get involved in the conversation. The first Unstoppable Session will be hosted by Benji Hyer and will be broadcasted live on Sunday 31st March. Don’t miss it! OK, I WANT MORE INFORMATION!